Free 7 Day Storage Hold. Reserve Now! Located near the Gulf of Mexico, Houston ranks as one of the top cities in America for the quality of life. 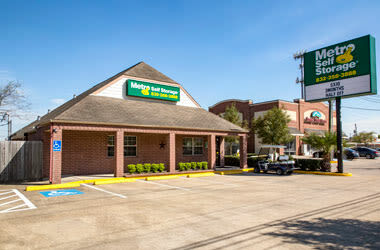 Here at Metro Self Storage, we aim to keep it that way. Whether you are a young family moving to Houston, starting a business, or downsizing, when you need storage, you can count on us. With more than 40 years of storage experience, we understand that renting a clean, secure unit can make life more manageable. 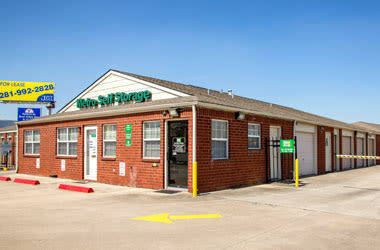 Our storage facility location near Champion Forest features drive-up units to make accessing your items a breeze. An on-site manager is here to answer all of your questions and help you decide the right-sized unit you need to rent. With 24-hour security cameras, electronic gate access, and a brightly lit facility from dusk until dawn, you can rest easy when you choose Metro Self Storage. 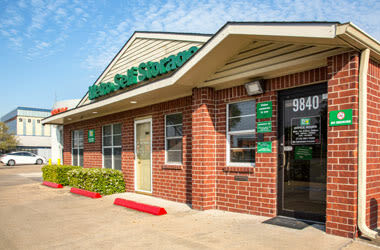 Conveniently located on Veterans Memorial Drive, we proudly serve the following individuals and businesses in Harris County including Champions, Brandenwood, Northchase, London Park, Torrey Chase, Fountain Head Village, Cashel Forest, Hambledon, Shadow Ridge, and surrounding neighborhoods. The friendly Property Managers at our Champions storage facility strive to bring you an outstanding storage experience from the first time we meet you until move out day, and every day in between. Our Total Customer Satisfaction Pledge is a reflection of our commitment to your storage experience with us because we value you and your belongings. We give you exceptional service whether you are online or at one of our top-rated Houston storage facilities. Our sturdy brick buildings feature gabled roofs, individual door alarms, and expanded access hours. Our customers tell us time and again how much they appreciate our clean and well-maintained storage facilities and friendly customer service. We look forward to helping you with your next moving or organizing project.